There is still hope for future efforts; surely some people with big pockets would accept a big camera bump for the sake of a bigger lens, or several (a bigger sensor with a lens of the same tiny phone-cam aperture diameter is mostly a gimmick). The last wave of 3D is dead already and is unlikely to be looked at again for another decade or three. I think they'll loose a lot of credibility and money trying to sell this. Nobody's ever gotten enough people to buy either a phone with a better camera or a better camera add-on for a phone (unless you count a drone as the latter) to make it work. Samsung tried a couple of models with a 2/3" (?) sensor and a zoom lens, and nobody accepted the camera bump. Motorola (?) had at least one model with a 20 MP 1" sensor and a little bit of Hasselblad DNA, and (again), nobody wanted the bump. Nokia had some larger sensor and a pixel count above 40 MP (phone-sized pixels in a larger sensor), and, yet again, the camera bump killed it. Joe and Jane Consumer want ultra-thin phones, and that means they get microscopic sensors with 5 stops of dynamic range. DxO tried an accessory camera, and nobody bought it. Their own attempt nearly killed DxO and I am not super optimistic about the impact this may have on Red. Is there somet worse than CEO boredom coupled with disconnct from the realities of this world in terms of what customers want and what engineers can deliver? I'll tell you what would spark some interest from me: if any of you are old enough to remember the Minox "spy camera" you'll know it was tiny - form definitely following function there - and looked beautiful. That kind of body, with a little sensor instead of the tiny film it used, would be the perfect carry anywhere, anytime machine. I'd have one immediately, because unllike a lousy cellphone, it had a viewfinder. And was beautiful; did I mention that? It would scare the hell out of Apple. No, wait, they could make it! That thing is tiny: 2.4 X 1.6 X 1.2 inches. Reviews aren't great, especially if you want to do video. John, that Sony is no object of beauty! If you want one there are loads on ebay, you can still get film and have it processed. But you've got those rose tinted glasses on again. Viewfinder ? pretty poor and inaccurate, let's not mention image quality either. Whilst wonderful bits of jewelry, pretty hopeless for making photographs with. Even a cheap smartphone is so much better in almost every way and I'm no great fan of phone photography. Yeh, I remember those cameras and they were utterly crap compared to today's phones or digital compacts. Too much "those were the good old days" thinking. but I doubt that he (or anyone) would find that “beautiful”. Thank you for having understood what I thought I'd plainly written for the world and its wife to understand, even if not camera companies! Absolutely right: a digital version of the little Minox with a viewfinder. That a tiny sensor might not stand up to big enlargement isn't a problem for me: I no longer print, and as long as something looks good at 650 pixels wide within 810 pixels width of frame on the website, I'm cool with that! I detest trying to use the cellphone as camera, and have no intention of ditching my Nikons at all, the digiMinox being nothing but the ultimate toy, perhaps letting me discover what people imply when they juggle photography with that catch-all word, fun! 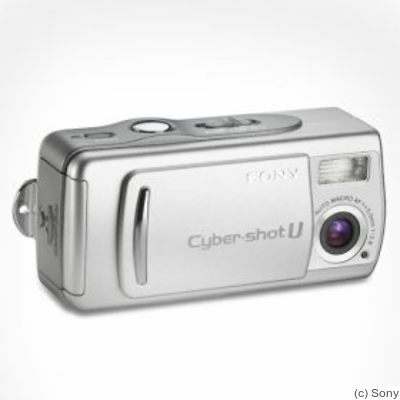 I think I still have my Sony DSC U20 which might be pretty close to that minox. Except for the 2MP res! I'll be willing to make someone a sweet deal on it if I can find it in the junk drawer! Someone really dropped the ball at Red for them to fail like this. I haven't seen one nor do I understand how it's supposed to work. Heard about it and then nothing. They are quite a revolutionary company that I supported from their first Red One camera. I also have supported RED first with two RED 1s and later with a Scarlet and an Epic. I still like my R1s better and though I heard a lot of negativity (which some was true at the start) but corrected later. Same with the Scarlet and Epic, but I find REDs cameras reliable. I don’t think people remember that when the R1 came out, it was less than half the price of a professional ENG camera with a small sensor that looked like video not film. If it wasn’t for RED I doubt if we would have seen a rush of 4k cameras from the Japanese makers that shoot such high quality in super 35 and and larger sensors, especially at the prices. I don’t know about the Hydrogen, but am not sure it’s a mistake. Yes, in the West 3d viewing is dropping, not dead yet, but at least less, though it is still popular in Asia. It is not uncommon for the studios to make 3d versions of a 2d movie only for Asian distribution. Today Nobody knows what the Hydrogen actually does, or if it will be a success. I would think battery use will be the biggest issue, but who knows as this is the only info I’ve seen. I had actually hoped it would be more of a 4k pocket camera and less of a viewing machine, but I applaud them for trying to move things forward. Some of the current Canon ELPH series are pretty close to a Minox in size, and especially weight (Minoxes were heavy little things). The littlest ELPH 180 is 3.7"x2.1"x 0.9" - about the same length and thickness as a Minox, although taller. The volume isn't as much greater as you'd think, because the Canon's depth is only at the lens bump (it's mostly closer to 0.5" thick than 0.9"). The Canon is actually a bit lighter... For fractionally more size (and less than half an ounce more weight), you can get the little ELPH with image stabilization (190 IS), or a Sony WX220 which also has image stabilization.